Our real-world Minecraft corner needed a Jack o Lantern Pumpkin for Halloween. We considered making a cardboard one, but decided we wanted the real thing. At the supermarket we hunted through all the pumpkins to find the squarest one of the lot. 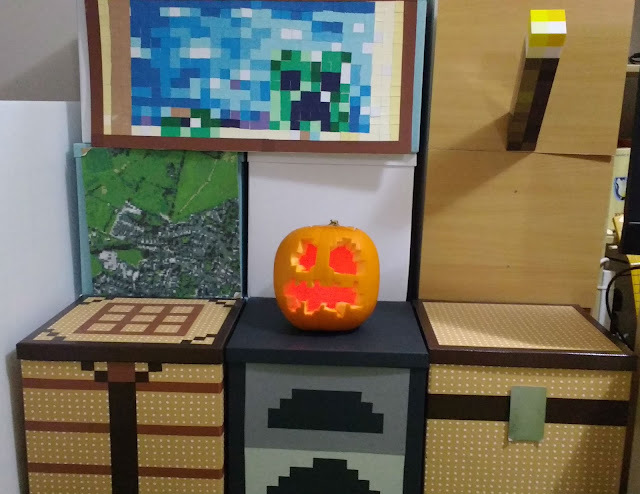 There were a few options to choose from so it doesn't look like cube-shaped pumpkins are too rare! 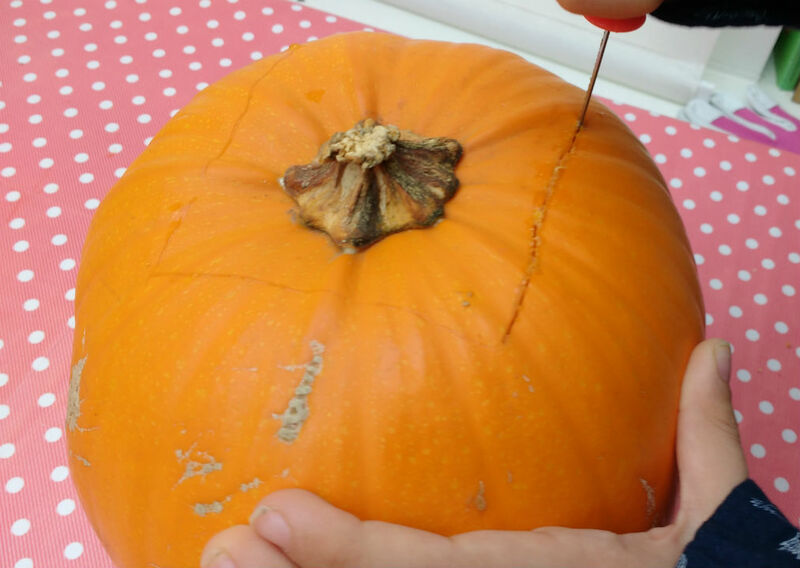 We pulled the pumpkin back up the hill in my shopping trolley. Then we needed a template. My 8 year old loves pixel art and we've recently discovered the awesome Piskel editor. We set it up with a 16 x 16 canvas and my son designed the template. We exported it as a scaled up png file. 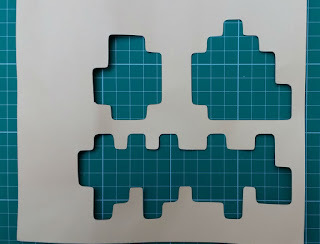 You could just print out the template on paper and poke holes through it to create the outline, but we cut it out from card on my Silhouette craft cutter. I imported the png into Silhouette Studio and traced the outline of the eyes and mouth to create a path for the cutter. 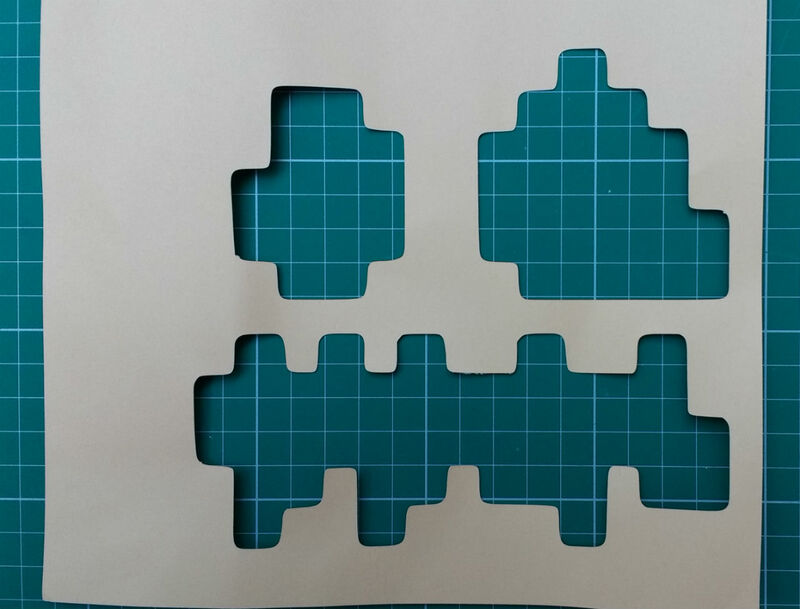 Then we cut the template from card. 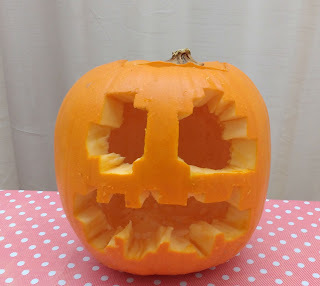 I scored a square shape for the top of the pumpkin and my son cut it out of the pumpkin using a pumpkin cutter tool (much safer than a knife). We scooped out the centre as normal. We stuck the template onto the pumpkin with tape and scored the outline of the eyes and mouth using the pumpkin tool again. Of course, the pumpkin was slightly rounded so we couldn't get a perfect fit. 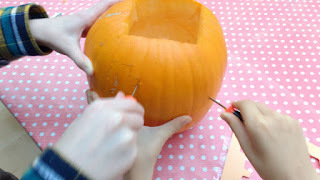 We found it easier to mark the eyes first and then the mouth separately. 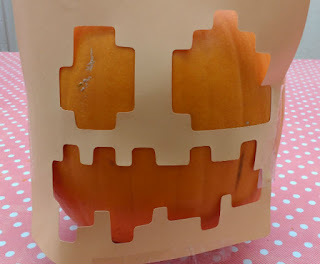 My older son came and joined in at this point and they cut out the eyes and mouth together. 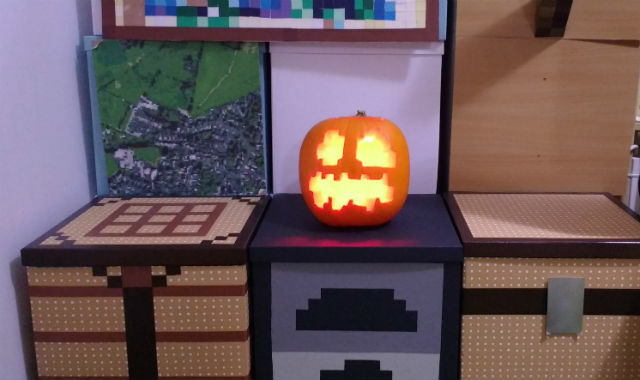 Our real-world Minecraft area is made from cardboard storage boxes so we decided that a real flame would be a bad idea!